The Java Virtual Machine (JVM) is an abstract computer. JVM speciﬁcations deﬁne some features that every JVM must have. Designers can implement the features in their own way. For example, JVM must be able to execute byte code, however, diﬀerent techniques can be used for its execution. The main task of a JVM is to load class ﬁles and execute the bytecode they contain. JVM contains a class loader and an execution engine. 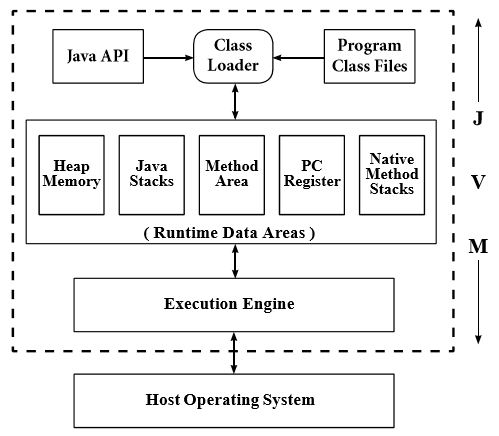 Class loader is responsible for loading class ﬁles from both the platforms and the Java API. 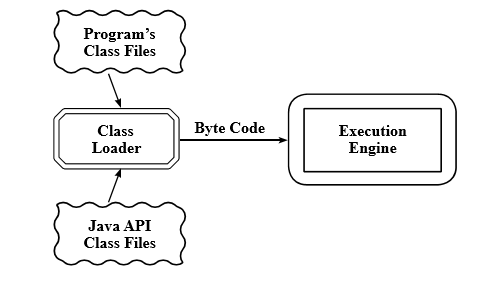 The byte code contained in class ﬁles is executed by the execution engine. An execution engine is not any hardware component, instead implemented as a software. It accepts the byte code and produces native code. Just-in-time Compiler (JIT) is a kind of execution engine. JIT caches native code generated when the method was invoked for the ﬁrst time. The cached code can be reused next time when the same method is invoked. 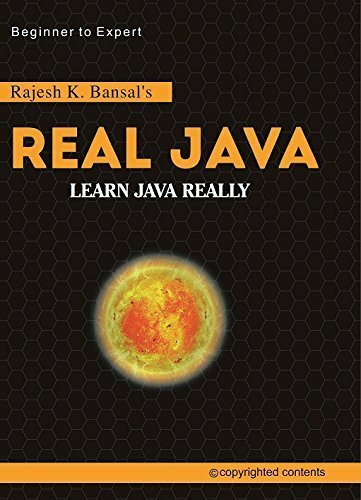 Java methods are written in Java language, whereas native methods are written in other languages, such as C, C++ etc. Native methods are the part of platform speciﬁc dynamic linked libraries. Means native methods are platform dependent. When a Java program invokes a native method, the JVM loads the library ﬁle to call the method. • The fully qualiﬁed name of direct super class. • The fully qualiﬁed name of the type. • Whether the type is a class or an interface. • The modiﬁers of type (ﬁ nal, public, abstract). • Fully qualiﬁed name of interfaces implemented or extended. • A reference to class loader to keep track of class loader used for loading the type: Bootstrap class loader or user deﬁned class loader. The above statement creates an object of class java.lang.Class and returns the reference to c, using reference variable c, you can extract full information about the members of class String. Detailed discussion about methods of Class class is not subject of discussion in this chapter, for information, you can google it on internet.